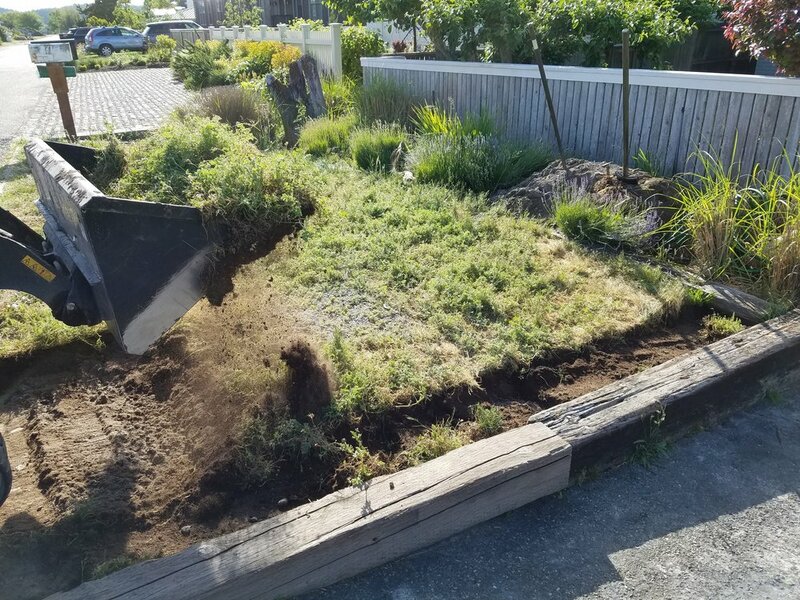 On this project we removed three large overgrown trees, three neglected lawns with rotted out retaining timbers and many defunct flower beds. 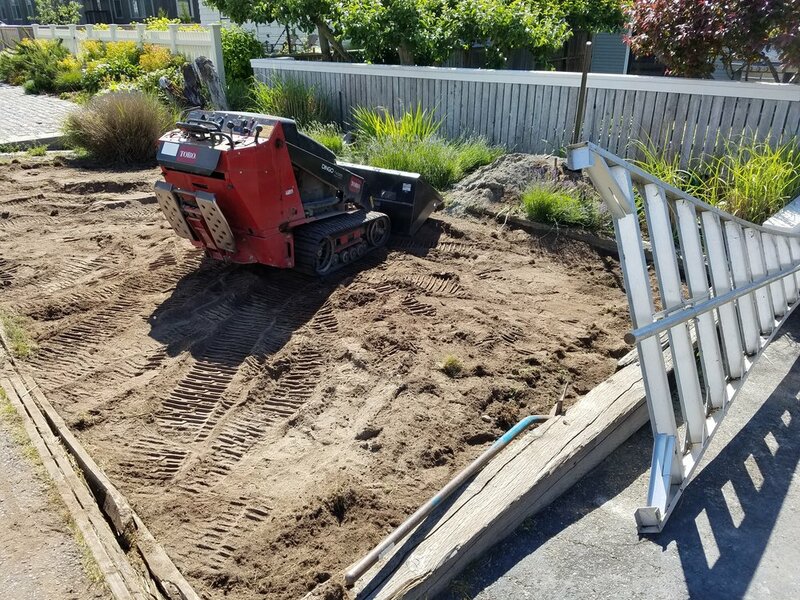 These flower beds were rebuilt and a new irrigation system was installed. We added a new lawn area and BBQ patio with low maintenance plantings. 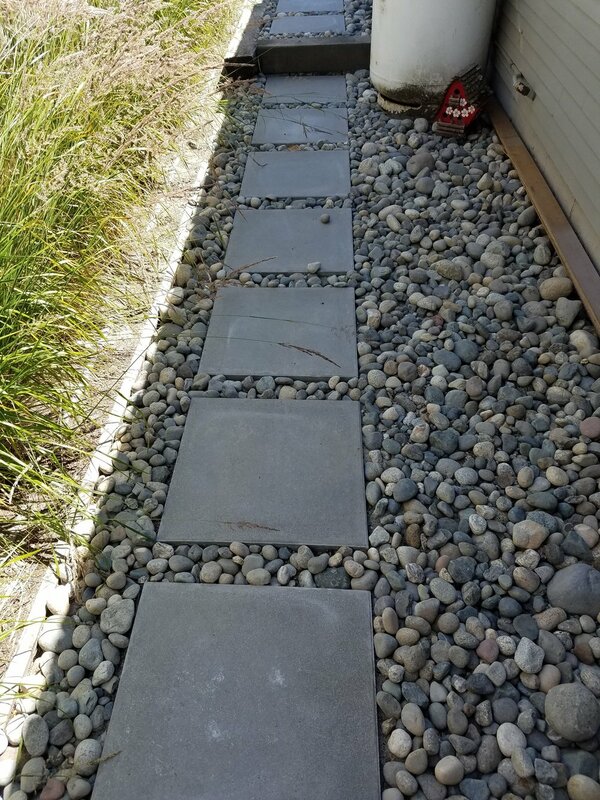 The addition of a cobble walkway added a stylish element. This installation was completed on a strict timeline and budget.